Shortcuts are easy to make when you have a visible icon you can actually link to. Unfortunately, not everything has an icon. If you try to make a shortcut to lock your computer, if you don’t know the actual convention for calling its function through a Windows library, you won’t get anywhere. This tutorial will teach you how to make a couple of shortcuts to useful functions on your computer that you normally have to go through a longer process to reach. You will learn how to lock your computer, enable/disable your firewall, reach the “Safely Remove Hardware” dialog, and a couple of other functions through the use of Windows shortcuts! Let’s get started! 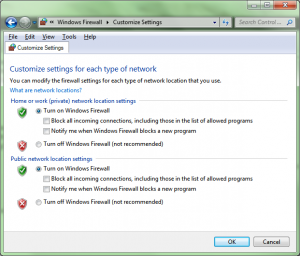 Perhaps locking your computer from the Start menu isn’t a big deal, but there’s a long process to go through if you want to work with your firewall. You’ll have to reach a dialog in the control panel. Win+L can also be used to lock Windows. 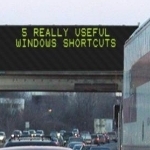 Why bother making a shortcut when you can just use “Windows” + L keys on your keyboard to lock your computer?